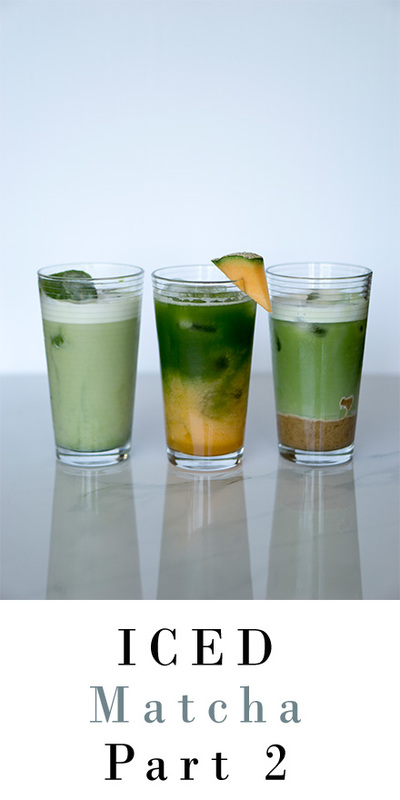 A few weeks ago I showed you how to make iced matcha 3 ways. In this video and blog post I am going to show you 3 more ways to make iced matcha latte that you might not have thought of yet. 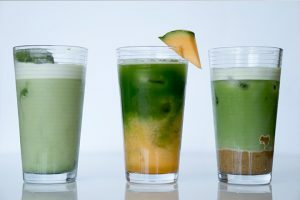 Today I am excited to show you how to make these delicious iced matcha drinks for a hot summer day. These are ways of making iced matcha that you probably don’t already know. Blend all the ingredients together, pour into ice cube tray and freeze. Fill a glass with Do Matcha Green Tea Ice Cubes, cover with almond milk and enjoy. Blend the almond butter, dates and 1/8 cup of almond milk, vanilla extract and salt in blender. Check consistency. Add more almond milk as needed to get salted caramel consistency. Place 1 tsp. Grade A. Do Matcha Green Tea into blender. Add 1/2 cup. cold almond milk, 1 tsp vanilla, 1 tsp of sweetener. Add 2 tbsp of salted caramel to bottom of the glass. Place ice on top. Pour 1/2 cup of almond milk over the ice and salted caramel. Add 4 oz. cold water and whisk until foam appears and the matcha is fully suspended in liquid. Pour pureed watermelon and sweetener over a tall glass of ice. Pour Do Matcha Green Tea over top of pureed watermelon. Please note, if you do not have a ceremonial bowl and whisk you can blend your matcha in a blender or with a handheld frother. You can also add sweetener such as honey, agave nectar, or maple syrup to taste.